(Figure 9, Item 7) from the fuel rod (Figure 9, Item 5) and injector rack clevis lever (Figure 9, Item 8). 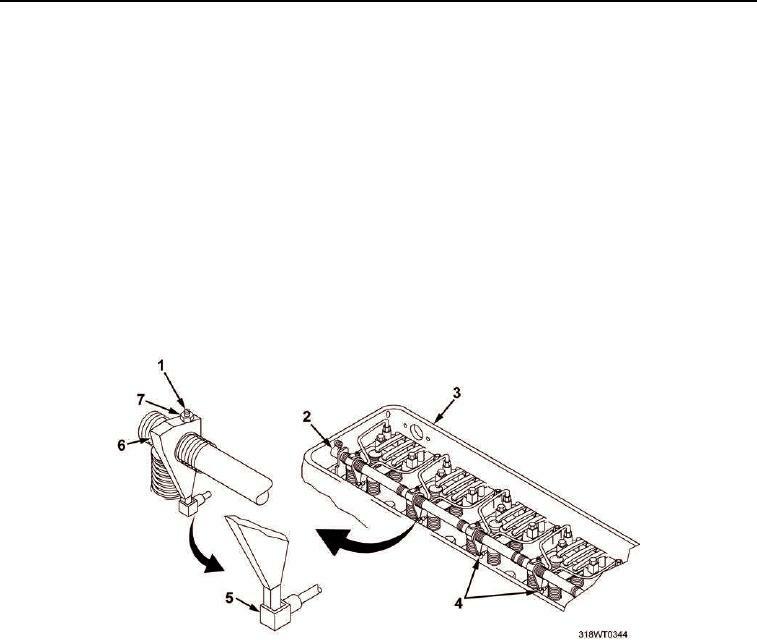 Disconnect the fuel rod (Figure 9, Item 5) from the injector rack clevis lever (Figure 9, Item 8). (Figure 9, Item 9) from the fuel rod (Figure 9, Item 2) and injector rack clevis lever (Figure 9, Item 10). both left and right cylinder banks. Disconnect the fuel rod (Figure 9, Item 2) from the injector rack clevis lever (Figure 9, Item 10). starts to rotate slightly or an increase in resistance is felt while tightening. Tighten the lock nut (Figure 10, Item 7). done to the remaining cylinders, using the first cylinders as a guide. second cylinder injector rack control lever (Figure 10, Item 6). Repeat step 10 to determine if adjustment is too loose and Step 11 if the adjustment is too tight.